The Ministry of agriculture of the Amur region headed by well-known in the region businessman. Before appointment to the post of Minister Oleg Turkov was the Deputy of legislative Assembly of region, and was also a member of the Committee on social policy. The former head of a major agricultural Oleg Turkov headed the Ministry of agriculture of the Amur region. About it on Thursday reports a press-service of the regional government. "The Ministry of agriculture was headed by Oleg Turkov. To work in the government, he started from today. Oleg Turkov - native americanin, worked in various commercial organizations in recent years ran one of the largest agricultural enterprises of the region "the Amur broiler", - stated in the message. 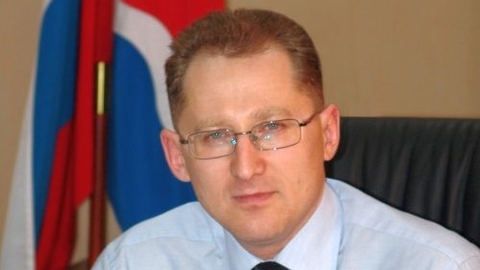 Before appointment to the post of Minister Oleg Turkov was a member of the Legislative Assembly of the Amur region, was a member of the Committee on social policy. "First, we need to create conditions for the normal operation of our businesses, dealing with all agricultural activities, whether it be crops, livestock, poultry. Second, you need to solve the current problems that are associated with the export of our products to China. The third is to address issues related to financing and other current issues and problems," TASS said of the Turks. Agriculture is the leading industry of the Amur region. Last year agrarians of the region harvested a record soybean crop, whose yield was 1.3 thousand tons. Also last year, the Chinese authorities lifted the ban on the import of Russian wheat from the Amur region, which was the reason for increasing the acreage in 2018.